Many SharePoint power users learned to love and depend on the 2010 version of SharePoint Designer for their workflow needs. However, many had a love/hate relationship with it. Although it empowered users to automate business processes without using code, it was plagued with performance issues. For SharePoint 2013, Microsoft addressed this by changing the framework for workflows with the addition of Workflow Manager. Microsoft also released the 2013 version of SharePoint Designer, but without the Design View that many power users relied on. Microsoft did not release SharePoint Designer 2016, but kept Workflow Manager. For more on alternatives to SharePoint Designer and InfoPath, see this article. The article on alternatives for SharePoint Designer and InfoPath also outlines the support roadmap for those two technologies. Over time, Microsoft expects SharePoint Designer to be replaced with Microsoft Flow, the cloud-based SaaS that allows end users to automate business processes across different services and applications besides SharePoint. Flow is Microsoft’s newest tool for creating workflows. Xgility was pleased to be one of the over 61,000 organizations that participated in the preview of Microsoft Flow. 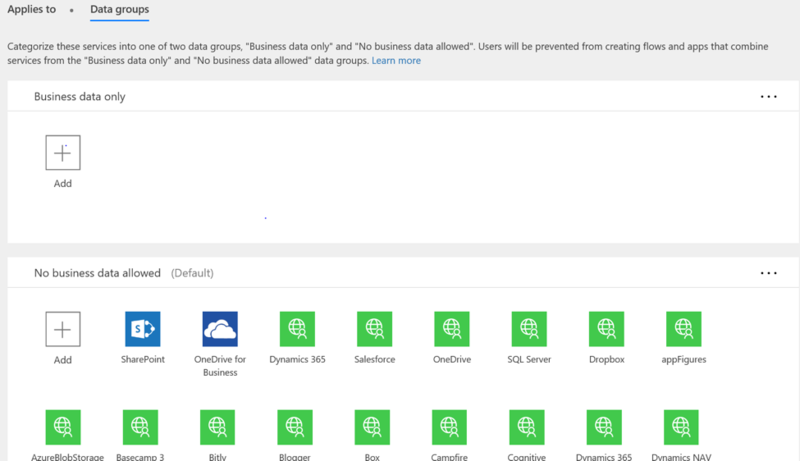 Flow is a cloud-based service for Office 365, but you can also connect with on premise SharePoint 2016 sites using a secure data gateway. While previewing Flow, a glaring difference from previous workflow tools is that it is very focused on the individual business processes rather than the enterprise business processes. When creating Flows, you are signing into your own Office 365 account and using your own login for any service you need to authenticate with. (Think in terms of impersonation steps in SharePoint Designer workflows). There was also no way to share the flows that you create. To address this, new features have been introduced along with Flow becoming generally available. Environments provide the ability to share Flows within an organization or group of users. They also provide boundaries by using a permissions structure to control who accesses Flows. The environments are created and managed by Flow Administrators. There is also the Flow Admin Center. Here, data policies can be applied to control which services Flows created and which specific environments it can interact with. This will tremendously assist in the governance nightmare that Flow could create by users possibly sending data to whatever service they have access to. Xgility is excited to continue using Flow to automate business processes with the cloud and to see what new features will be released next. It seems that Microsoft Flow in Preview mainly focused on the individual business processes rather than organizational business processes, but it is now being fine-tuned to meet enterprise needs. Melissa Hubbard will be presenting an overview of Flow at the Federal SharePoint User Group on December 15th at Microsoft in Reston, VA. To find out more information or to register, go here. If you are wondering whether Flow is right for your organization, you may want to ask us to train your organization on workflows or ask us about ongoing managed adoption services. For questions about either, please contact us. Also, if you are interested in a free trial of Office 365, get your Office 365 E5 trial subscription here.